Natural stone is an ideal choice for many fine home finishes. There are several types of natural stone out there; each gives a different look and has different properties. This article highlights a few of the most popular natural stone types and facts about each type. Granite is one of the most popular natural stone types. Many people choose this stone because it is very durable. Granite is one of the hardest, densest natural stones making it the best choice for outdoor fountains in freezing climates. It is also very resistant to scratches and staining and can withstand high heats; making this stone ideal for use in the kitchen. Granite also comes in many different colors, from light to dark, with unique variations in each variety. Check out some beautiful granite samples below. Gaillo Fantaisa Y Granite  Its warm golden/tan earth tones work well in many landscaping applications. Golden Cypress Granite  Closely resembles the fine-grained texture and color tones of a buff limestone but with the durable characteristics of granite. Louise Blue Granite  Considered a premium exotic stone, showcases the wild variation in colors and texture available to those seeking something truly unique. Marble is a crystallized limestone. This beautiful stone has been popular in homes for centuries because of its elegance. Unlike granite, marble is softer and more porous. This allows for a greater level of detail in the carving. It tends to stain and scratch easier than other natural stone types, so it is best used in an area in your home with less traffic. Some of the most popular places to use marble are for statuary or columns, or in guest bathrooms and fireplace surrounds. Like granite, marble comes in a variety of colors, each with distinct veining. Below are some marble examples. In its natural state, travertine is a porous stone with holes running through it. On floor tiles and countertops, holes are often filled and the stone is honed to the state you see in homes. Like marble, travertine is soft, so some preventative maintenance is needed for this type of stone to keep it looking nice. Travertine works great for many uses in the home as long as it is properly maintained. Below are some popular travertine colors. Scabos Travertine flooring in a Versailles pattern. Limestone is a unique natural stone. It is a sedimentary stone formed from the accumulation of organic materials like shells and coral at the bottoms of ancient sea floors. Like marble, this stone is very porous and will require some preventative maintenance. Also like marble, this stone is susceptible to staining and scratching, so it is not suitable for all areas of the home. Check out a beautiful limestone sample below. These are just a few of the different types of natural stone available. For more stone samples, click here. 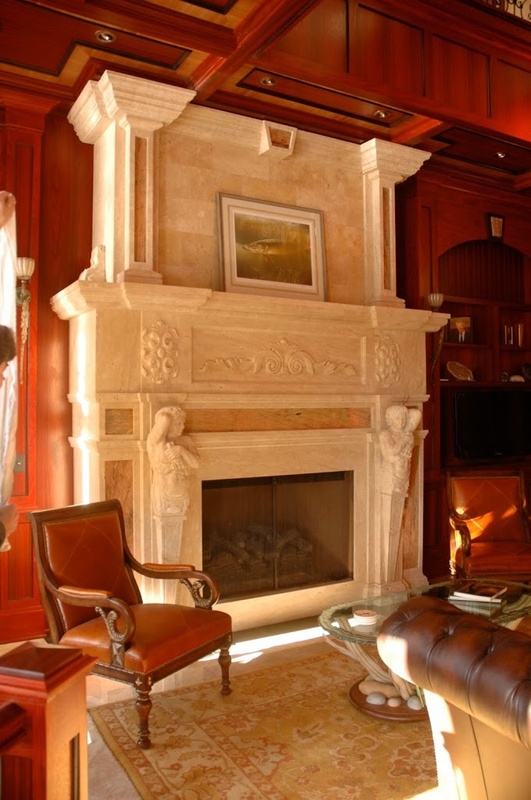 Interested in learning more about using natural stone in your home? Contact us.